How to install the free Xilinx software tools for CPLD and FPGA development – the Xilinx ISE WebPACK version 14. 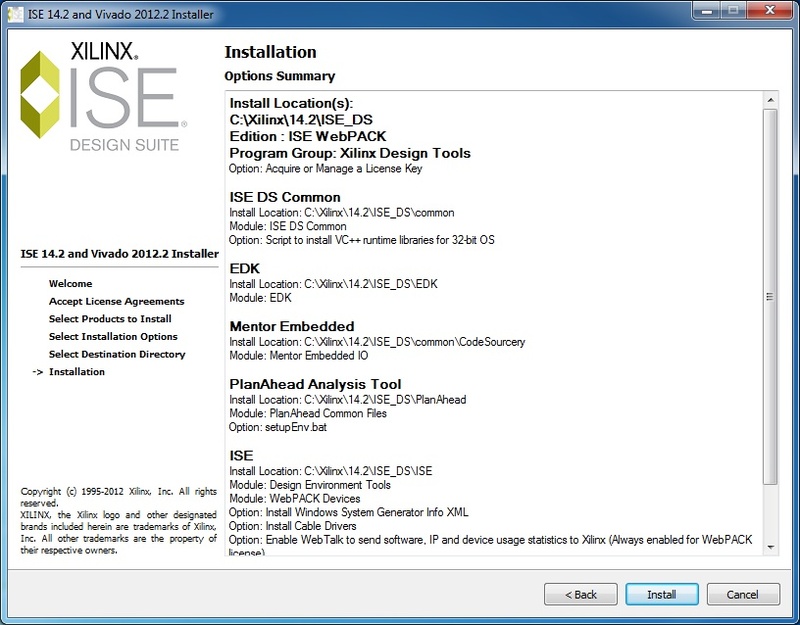 These installation instructions and screenshots show the steps needed for installing version 14 of the Xilinx software. This installation is for Xilinx Design Tools for Windows as installed on Windows 7 from a DVD. 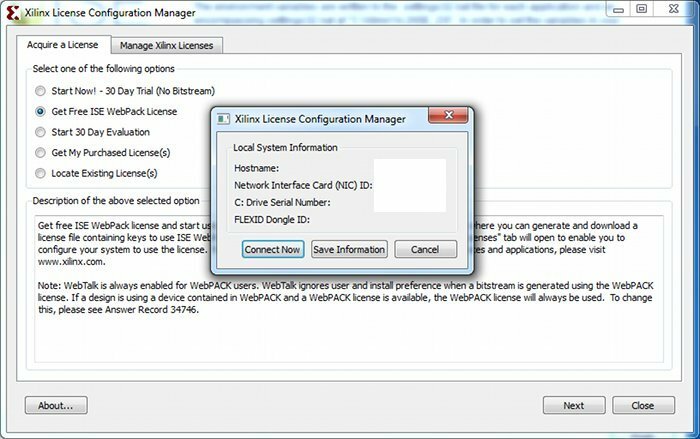 All versions of the software, including the free version require you to register with Xilinx and obtain a license for the software. The software can be obtained by downloading it from the Xilinx software download page or by ordering a DVD. 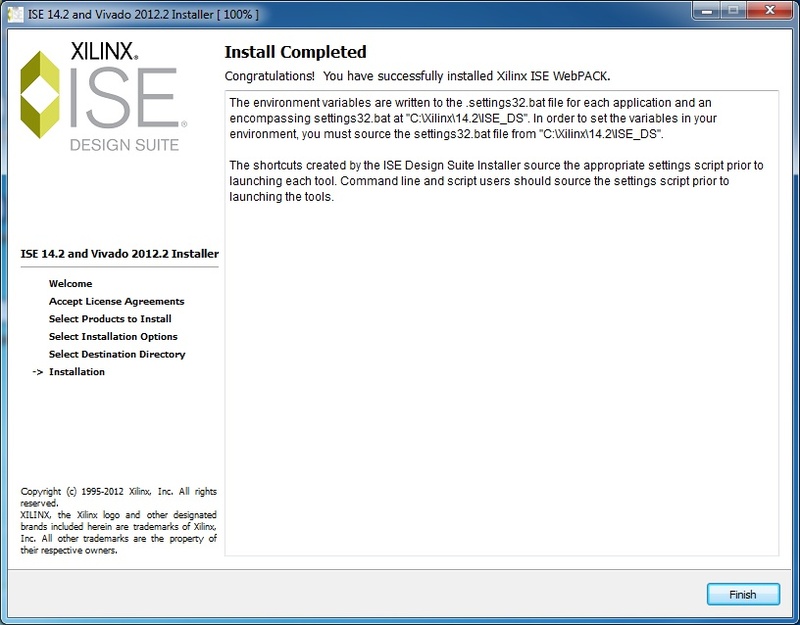 The download is rather large, so if you have a slow Internet connection, you may need to order the DVD from Xilinx. 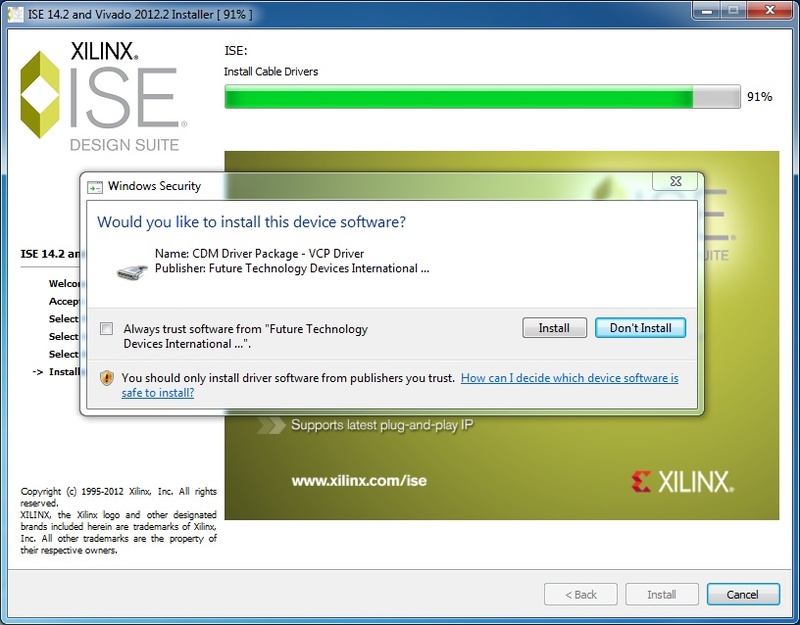 Ordering instructions are available on the Xilinx download page. 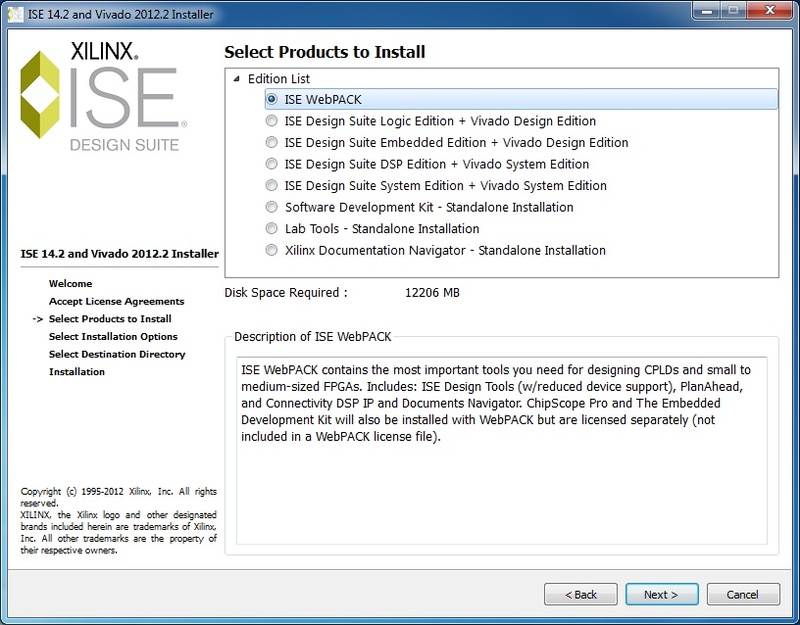 The DVD may also be included with a CPLD or FPGA kit. 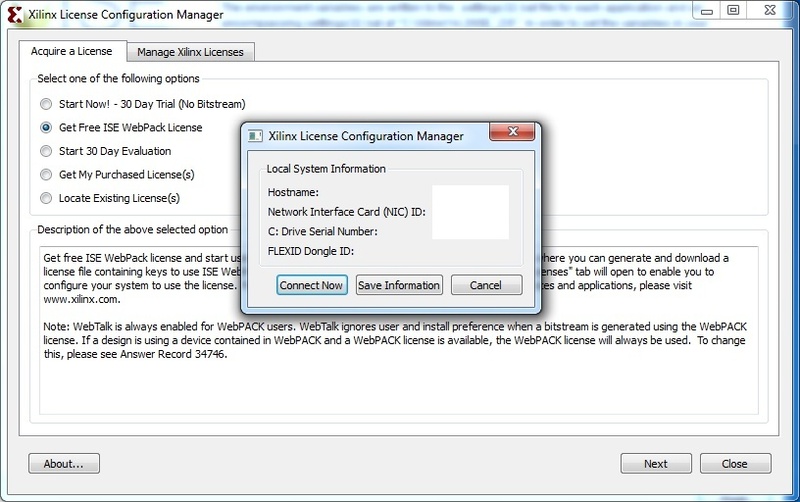 I would suggest registering with Xilinx and getting a license for the WebPACK software before obtaining the software as some countries may not be eligible for a license. The Xilinx Design Tools: Installation and Licensing Guide (UG798) from Xilinx contains the installation and licensing instructions for version 14.2 of the software. 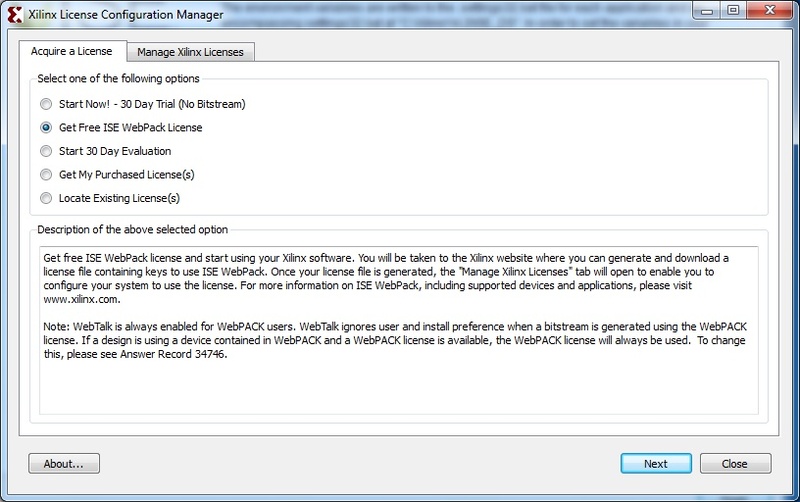 Screen captures of the installation from the DVD on Windows 7 follow. These captures were take on a fresh installation of Windows 7. Insert the DVD into the DVD drive of the Windows PC to start the software installation. The Welcome window will be displayed when the installation starts. 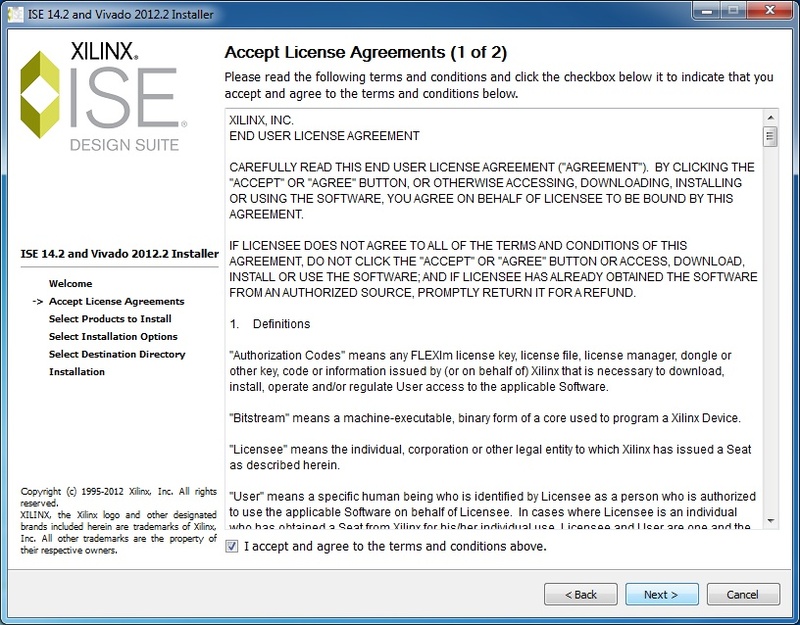 You will need to accept two license agreements. Select the ISE WebPACK – this is the free version of the software. You will need to get a license key and install the cable drivers. 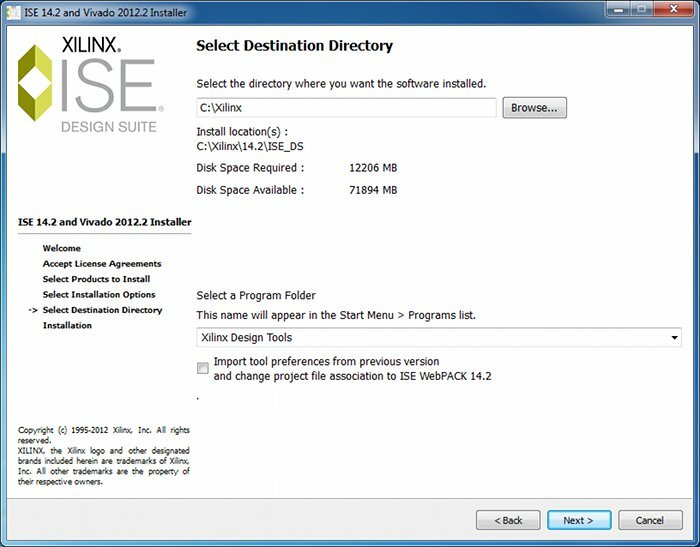 It is best to select the default installation directory. A summary of what is about to be installed will be displayed. Microsoft redistributables may need to be installed if they are not already on the computer. 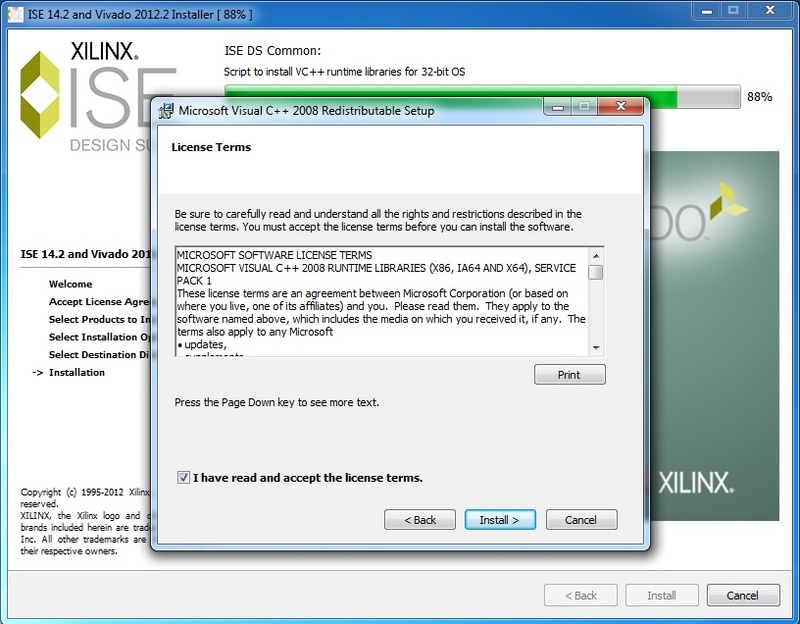 Accept the MS license agreement. 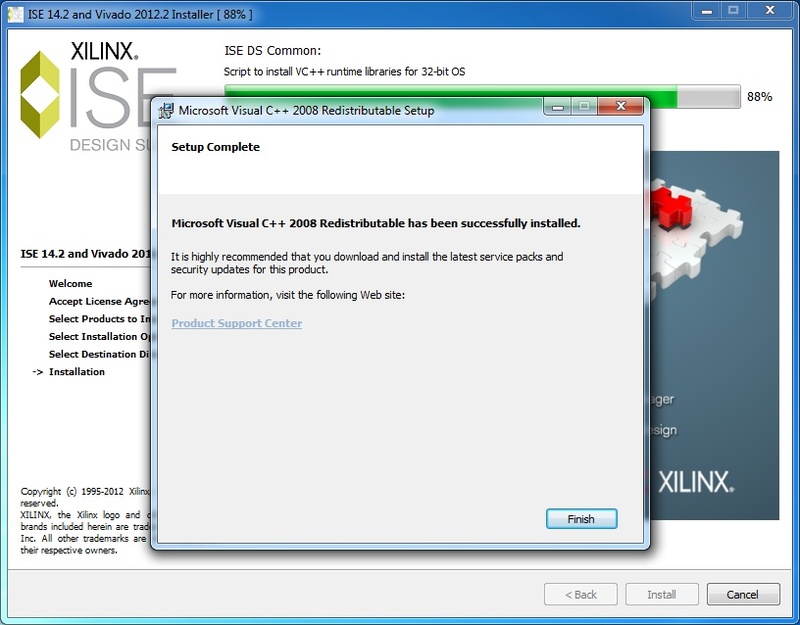 Finish the MS redistributable installation. 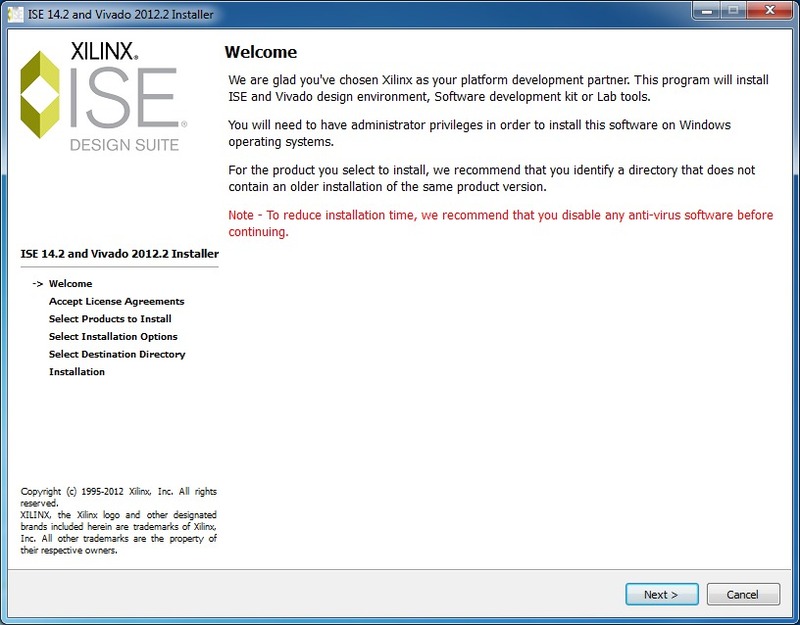 Install all of the drivers as prompted. Choose to get the free license. Log into the Xilinx website and obtain a license. 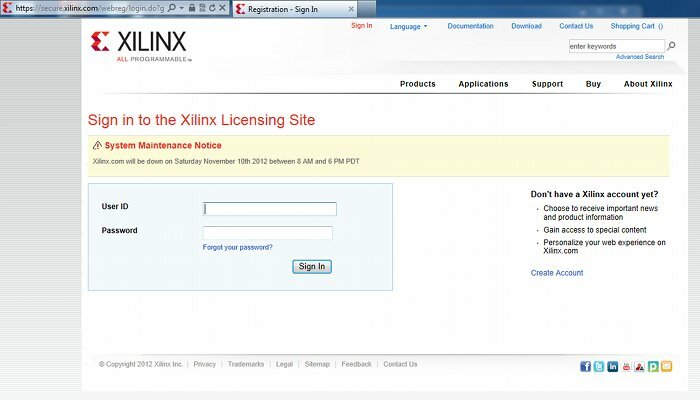 If you do not already have a Xilinx account, then create one now. The license file will be emailed to you, but if the computer that you are working on does not have your email set up on it, then you can save the license file from the Xilinx website. 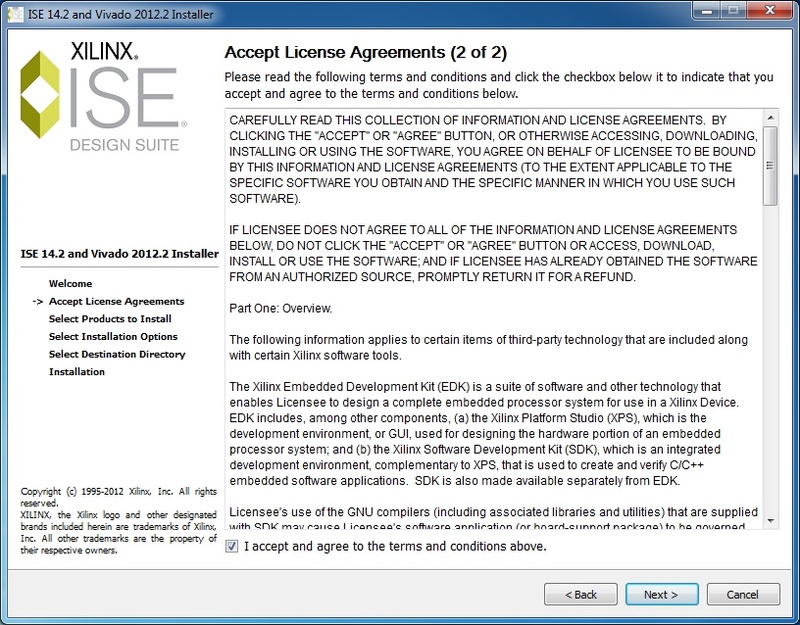 See from page 16 of this document for information on licenses and page 29 Figure 2-11 shows the icon at the bottom left for downloading the license file. After installing the license, the software installation is complete.